This might be the only time you’ll want to invite your guests to imbibe in Burnt Turkey on Thanksgiving. 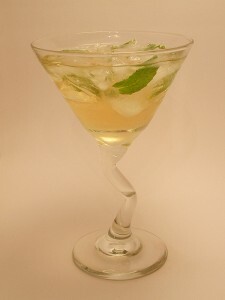 Fill a chilled glass with crushed ice and 8-10 fresh mint leaves. Combine the bourbon and cinnamon schnapps in a cocktail shaker filled with ice. Shake, then strain over ice.